Your home lighting scheme can open up a world of possibilities or problems; the wrong bulb can take you from warm and welcoming to cold and harsh in a heartbeat. Make sure the scene is set with this gorgeous filament globe that makes for a great addition to pendant lights and lamps that have glass shades, or no shade at all. When you buy a E27 Small Sphere Filament Globe online from Temple & Webster in Australia, we make it as easy as possible for you to find out when your product will be delivered to your home in Melbourne, Sydney or any major city. You can check on a delivery estimate for the Mercator Part #: 9E2714 here. 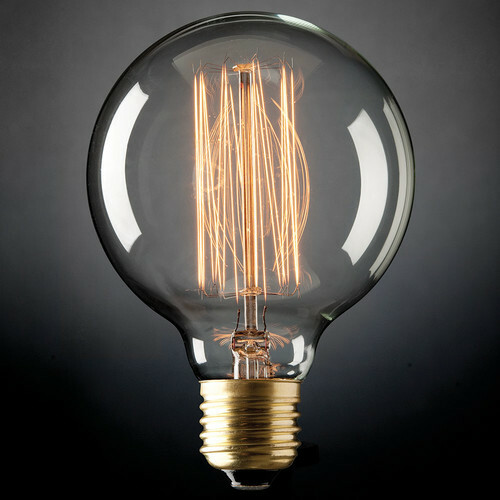 If you have any questions about your purchase or any other Light Bulbs product for sale our customer service representatives are available to help.Whether you just want to buy a E27 Small Sphere Filament Globe or shop for your entire home, Temple & Webster has a zillion things home.